Although next year’s TV development slate has more new Western projects in the works than a goldarn rattlesnake has colorful folksy analogies written about him, CBS is going the more direct route and simply remaking an old one, developing a new version of the 1958, Sam Peckinpah-created series The Rifleman with director Chris Columbus. Rather than create some moderately tweaked version of the nostalgia for the classic Western that studio executives insist America is having, the network will simply retell the tale of a Civil War veteran who relocates to the New Mexico territory with his son, and who them becomes his town’s unofficial guardian thanks to his sharpshooting skills. 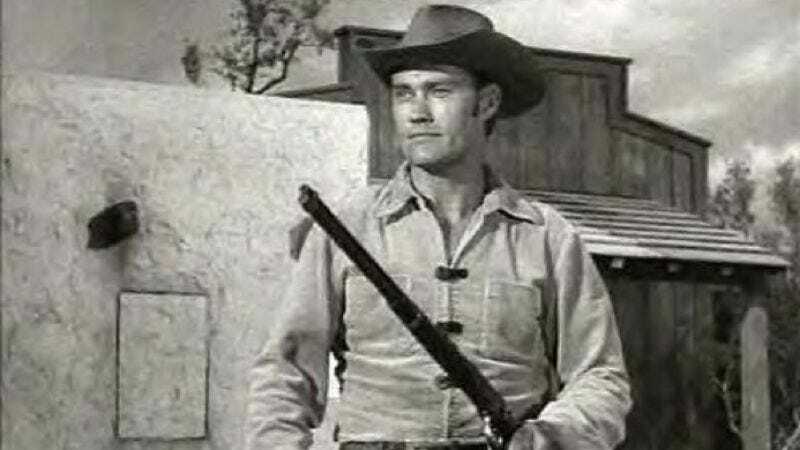 The early synopsis makes no mention of The Rifleman’s chief gimmick that made it stand out from all the other Westerns back in its day—namely the rapid-fire Winchester that star Chuck Connors preached using only as a last resort, a contingency that happened approximately every 35 minutes. It does, however, mention that he has a “haunted past,” and who better to explore the dark, troubling shadows of a man’s character than Chris Columbus?